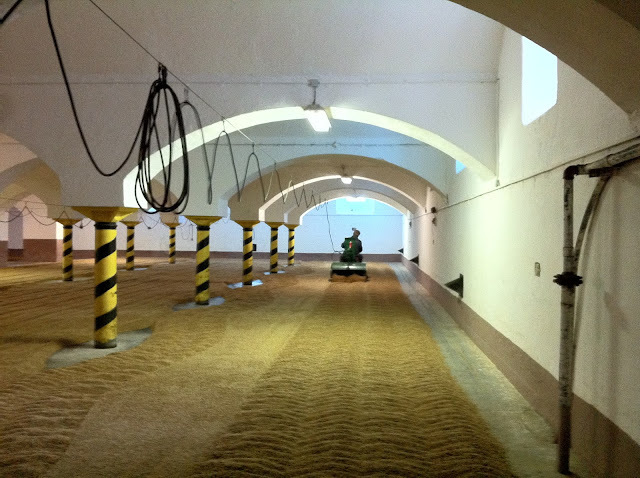 I've visited three Czech breweries now, and in each case, the emphasis has been on malt. Think Britain. 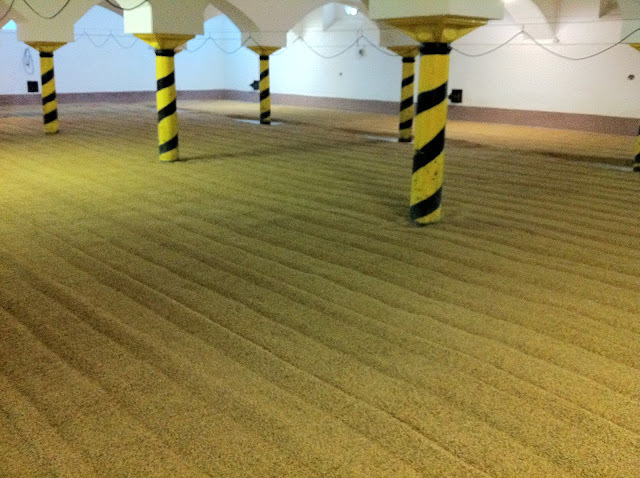 Not only is barley grown locally, but it's floor-malted (the base malts, anyway), and those malts are a big part of the beer's character. 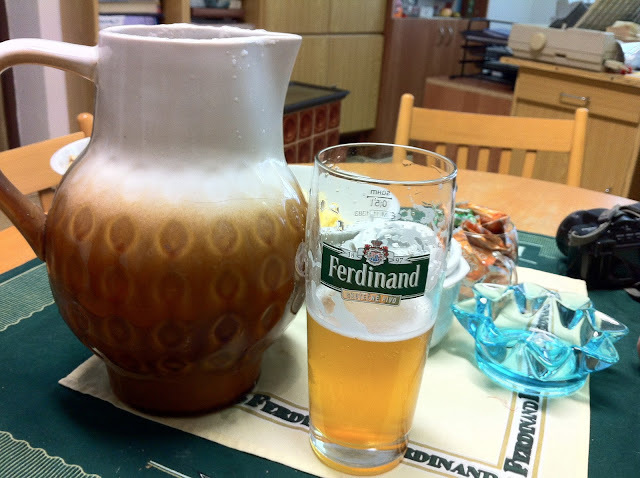 Leave aside the lagering, and what distinguishes Czech beer? 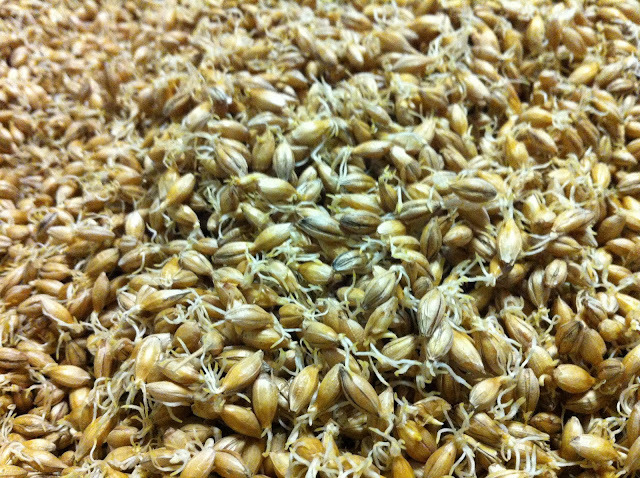 No, not those delicate, spicy hops: malt. In exactly the way British malts do. The illustrious Pivní Philosof took me oto Ferdinand brewery (pivovar) today, and we got to see the traditional method of preparing malt. Once, Ferdinand made 200,000 hectos of beer and now they make 25--but still they make enough malt to supply Weyermann and others. But the malting/brewery is still seriously old school. Have a look. (Sorry, my Bligger app again puts them out of order). 1. (a). 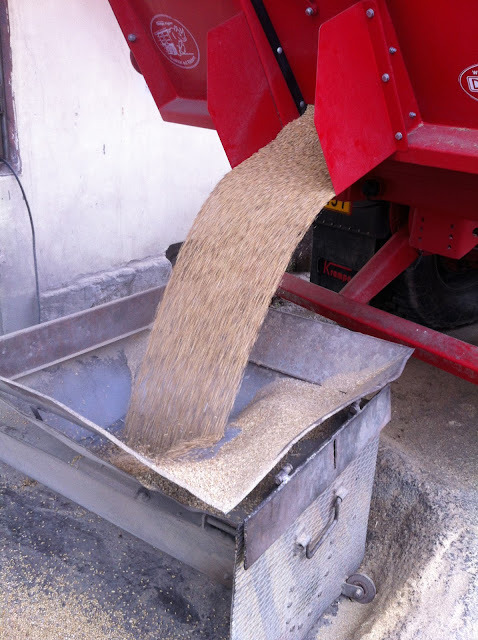 Farmers deliver raw barley to the brewery. 2. (c). Malters turn the wetted barley so it doesn't rot. 3 (f). Primary fermentation in open vessels. 4 (b). 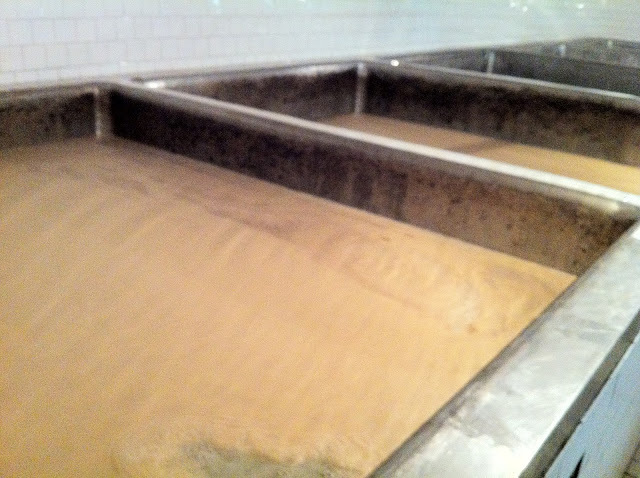 Malters spread out the freshly-soaked barley. 5 (e). 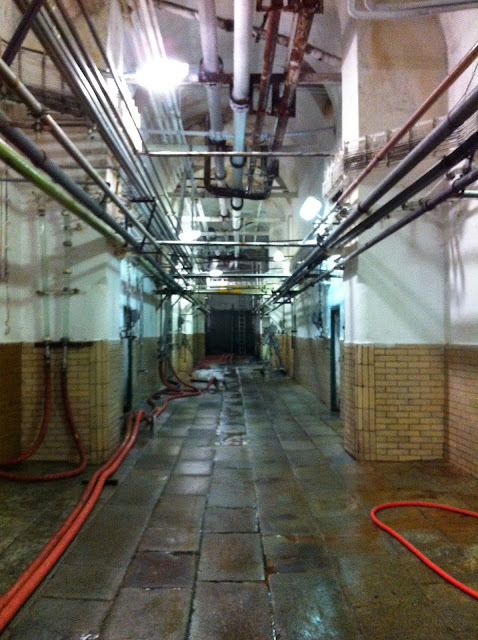 The steam punk aging cellars. 6 (d). "Chitted," or sprouted grain. 7 (g). Tasty beer from the tank.